To Seattle now but not for any of that grunge crap. 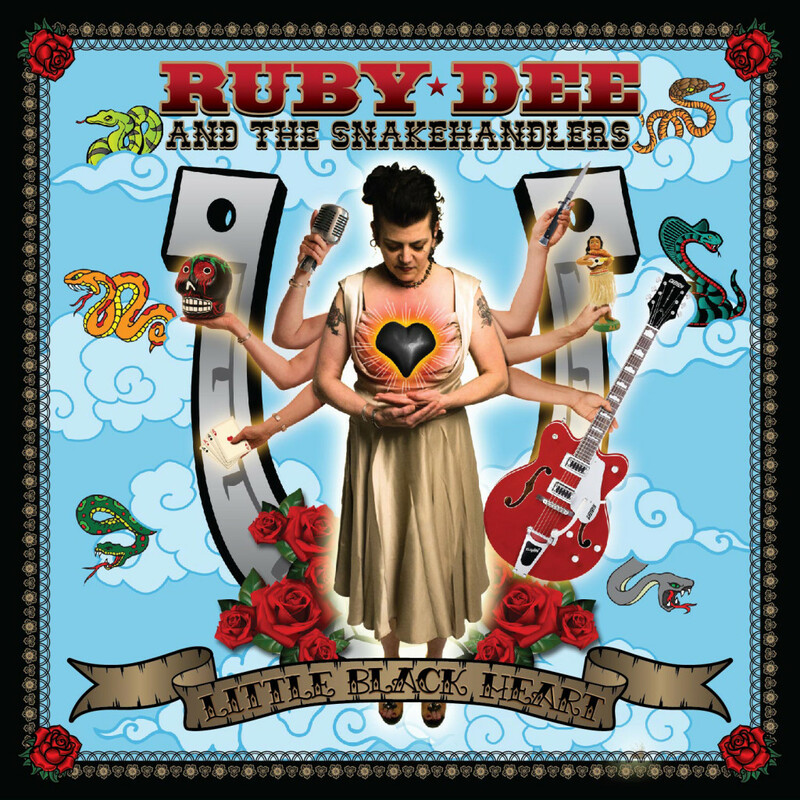 Nope it’s time for some rockabilly, country and Western Swing courtesy of Ruby Dee & The Snakehandlers. And this was a lot of fun. Although it’s all forties and fifties retro it comes with a punchy production and some fiery performances. It sounds raw and edgy giving off an aura of excitement so often lacking in modern music. This entry was posted in Reviews and tagged catty town records, little black heart, ruby dee and the snakehandlers, The Rocker UK. Bookmark the permalink.